Taylor Marshall is set to have his first ride Magic Millions 2YO Classic at the Gold Coast. 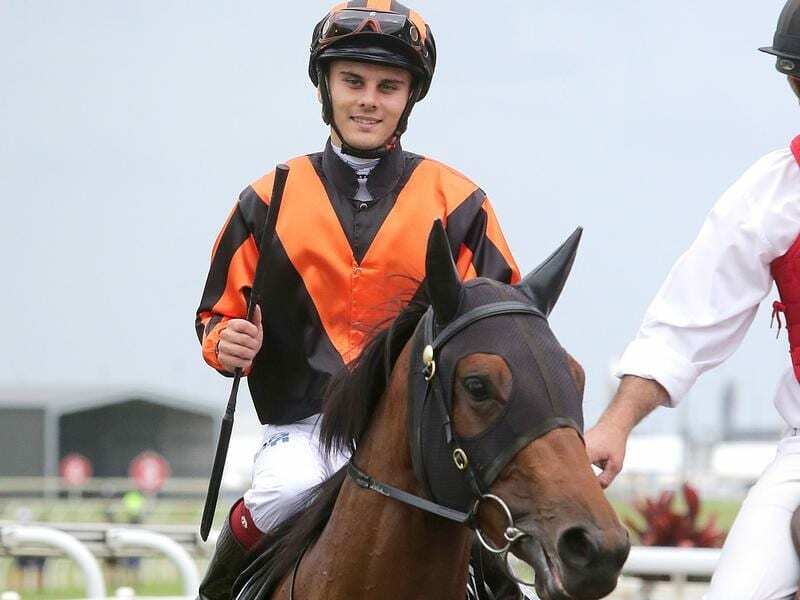 Jockey Taylor Marshall is set to celebrate his graduation to the senior ranks with his first Magic Millions 2YO Classic ride after Oh Five Glory won at Doomben. After looking under pressure on the home turn Oh Five Glory ($5) finished too strongly to beat Mishani Desire ($6.50) by 1-1/4 lengths with a short half-head to Champagne Jet ($2.25). The win lifts Oh Five Glory to $54,000 in prize money which will be enough to ensure the filly makes the field for the Magic Millions on January 12. It will be training partnership Peter and Will Hulbert’s first Magic Millions runner. “Oh Five Glory can go for a ten-day break and then we will bring her back for the race at the Gold Coast the Saturday before the Millions,” Will Hulbert said. Hulbert said Marshall would have the ride in the Millions as a reward for his hard work with the filly. “We promised him the ride before the race and we stick to our word,” Hulbert said. Oh Five Glory is a daughter of deceased sire Unencumbered who won the Millions in 2014. “I bought her at the sales and 10 minutes later it came through Unencumbered had died. She has been doing him proud,” Hulbert said. Marshall said he was looking forward to his first ride in the Millions. “She is a lovely filly and will keep getting better,” Marshall said.